My main field of research interest is in an area of mathematics which lies on the boundary between algebraic number theory and analytic number theory. Specifically, I am working on congruences between special values of L-functions as well as on the divisibility properties of class numbers and the orders of K-groups of the integers of algebraic number fields, applying some analytic and p-adic methods. I am also interested in algebra, algebraic geometry and K-theory, computational number theory, special diophantine equations and cryptography. J. Szmidt, J. Urbanowicz and D. Zagier, Congruences among generalized Bernoulli numbers, Acta Arith., 71 (1995), 273–278. J. Urbanowicz and A. Wójcik, On linear congruence relations related to 2-adic dilogarithms, Publications Math. de la Fac. des Sci. de Besançon, Theorie des Nombres, Années 1995–96. A. Schinzel, J. Urbanowicz and P. van Wamelen, On short sums of the Kronecker symbols, J. Number Theory, 78 (1999), 62–84. G.J. Fox, J. Urbanowicz and K.S. Williams, Gauss' congruence from Dirichlet's class number formula and generalizations, Number Theory in Progress: Proc. of the Internat. Conf. on Number Theory, Zakopane, Poland, 1997 (eds. 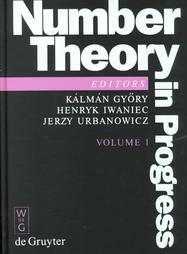 K. Győry, H. Iwaniec, J. Urbanowicz), Walter De Gruyter Inc, Berlin-New York, 1999, vol. 1 and 2, in: vol. 2, 813–840. J. Urbanowicz, On optimal linear congruences for L2(k,χω 1-k), Publ. Math. Debrecen, 56 (2000), 677–711. S. Spież, J. Urbanowicz and P. van Wamelen, Divisibility properties of generalized Vandermonde determinants, Acta Arith. 110 (2003), 361–379. J. Urbanowicz and P. van Wamelen, On linear congruence relations for Kubota-Leopoldt 2-adic L-functions, J. Number Theory, 98 (2003), 195–216. 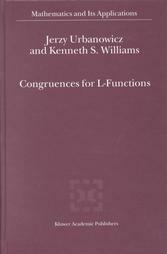 This book provides a comprehensive and up-to-date treatment of research carried out in the last twenty years on congruences involving the values of L-functions (attached to quadratic characters) at certain special values. There is no other book on the market which deals with this subject. The book presents in a unified way congruences found by many authors over the years from the classical ones of Gauss and Dirichlet to the recent ones of Gras, Uehara and others. In 1986 K. Hardy and K. Williams the authors exploited a very simple idea to obtain a linear congruence involving class numbers of imaginary quadratic fields modulo a certain power of 2. Their congruence provided a unified setting for many congruences proved previously by other authors using various means. Since 1986 this congruence has provided the impetus for a great deal of research which has led to extensions in many directions. For example, in 1989 G. Gras found the analogous linear congruence relating the class numbers of both real and imaginary quadratic fields, and in 1990 J. Urbanowicz found the analogous linear congruence relating the orders of K2-groups of the integers of real quadratic fields. In 1990 the former congruence was reproved by T. Uehara and in 1995, 1998 it was extended by J. Urbanowicz and A. Wójcik. In 1995 the latter one was extended by J. Szmidt, J. Urbanowicz and D. Zagier. This book is the story of some of these extensions. At each stage the necessary background material is presented. The book is aimed at graduate students and researchers interested in algebraic and analytic number theory, algebraic K-theory, functions of complex variable and special functions. These Proceedings contain 71 seleceted and refereed contributions arising from the International Conference on Number Theory Organized by the Stefan Banach International Mathematical Center held in Zakopane, Poland from June 30 to July 9, 1997. 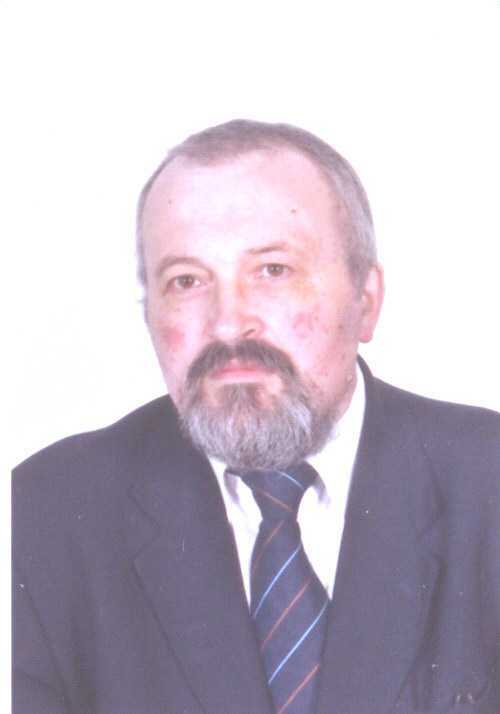 The conference was organized by the Stefan banach International Mathematical Center to celebrate the 60th birthday of Professor Andrzej Schinzel and covered a broad spectrum of his mathematical interests. More than 130 mathematicians from all over the world attended the conference. The material is divided into two volumes according to the conference program: Diophantine Problems and Polynomials, and Elementary and Analytic Number Theory. The first volume covers diophantine equations, diophantine approximation, transcendental number theory and polynomials. The second volume contains papers on sieve methods, automorphic forms, Hecke operators, estimates on exponential and character sums, L-functions and other topics. The two volume work containing articles from leading experts in the world encompasses an account of the state of research in a wide variety of topics. It will prove invaluable to anyone working in number theory. These Proceedings contain twenty selected, refereed contributions arising from the International Conference on Public-Key Cryptography and Computational Number Theory held in Warsaw, Poland, on September 11-15, 2000. The conference, attended by eightu-five mathematicians from eleven counties, was organized by the Stefan Banach International Mathematical Center. The volume contains articles fro leading experts in the world on cryptography and computational number theory, providing an account of the state of research in a wide variety of topics related to the conference theme. 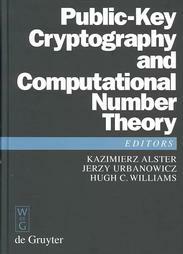 It contains fifteen aricles on Public-Key Cryptography which are concerned with efficiency and security of DL-cryptosystems, DL-cryptosystems based on elliptic curves, the jacobian of a hyperelliptic curve, algebraic groups and class groups of imaginary and real quadratic orders, connections between cryptography and error correcting codes, new cryptosystems (NTRU and XTR) and other new ideas in cryptography. The Proceedings are dedicated to the memory of the Polish mathematicians Marian Rejewski (1905-1980), Jerzy Różycki (1909-1942) and Henryk Zygalski (1907-1978), who deciphered the military version of the famous Enigma in December, 1932 - January, 1933. They will prove inavaluable to anyone working in Cryptography (Public-Key Cryptography in particular) and Computational Number Theory.